New seat upholstery can make all the difference in your street rod. 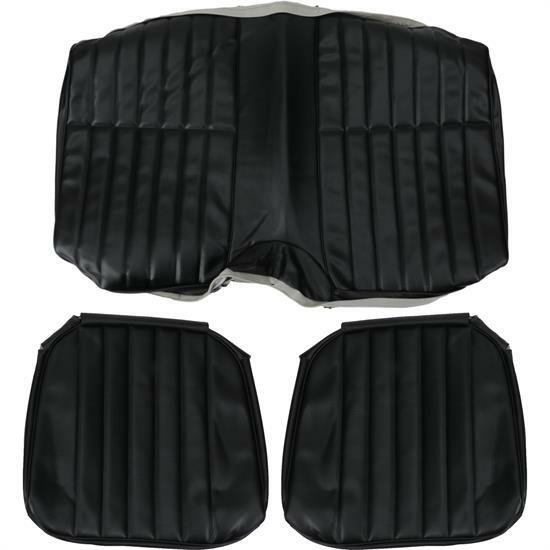 These new 1971-1973 Camaro rear seat covers from Parts Unlimited are madrid grain vinyl. These seat covers have sewen elk grain vinyl inserts and buttons are included.